While network engineer Alan Miller says there are many benefits to his current job, he admits he might have abandoned his systems management aspirations far too soon. 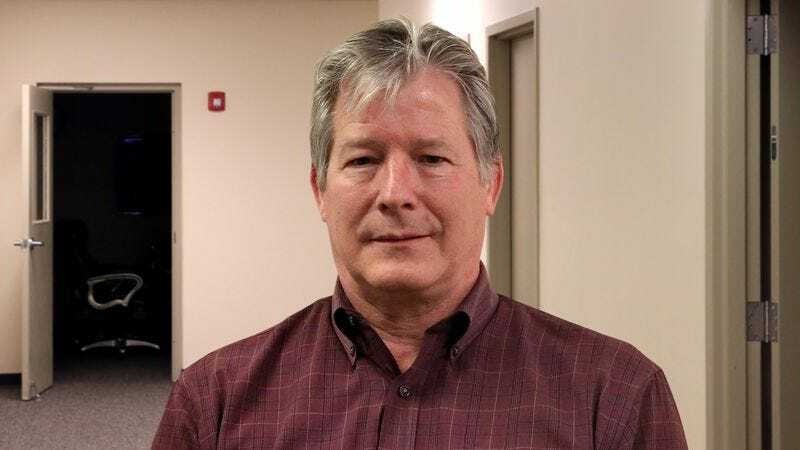 WATERBURY, CT—Reflecting wistfully on what he might have made of himself had he chosen a different profession, Dynatrend Solutions network engineer Alan Miller said Wednesday that he would be a systems manager if he had the chance to go back and do it all over again. Despite a long and successful career of identifying and solving network-infrastructure-based problems, the 47-year-old told reporters there will always be a little part of him that regrets not having instead followed his youthful ambition of designing technology solutions as a systems manager. “I mean, I could be doing that right now,” he added. Although he acknowledged that trying to make it as a systems manager would have been a “more unorthodox choice” for him professionally, Miller also stressed that throughout his many years in network engineering he had often daydreamed about what it would be like, just once in his life, to analyze project workflow and perform systems upkeep, or to have a workday in which his hours were filled with opportunities to brainstorm and implement ways to resolve end-user systems issues. Miller stated that when he chose to become a network engineer he was too young and inexperienced to grasp the full repercussions of turning his back on what he referred to as the “career of my dreams.” Although he realizes now how much he passed up when he decided against applying for jobs that would have allowed him to monitor server metrics, automate technology services, and measure business performance in real time, he confirmed that such understanding has only come with the benefit of wisdom and age. Despite his continuing doubts about whether he made the right career choice, Miller noted that his accomplishments as a network engineer have given him “plenty to be proud of,” including a 23-year record of dependable tier 4 support and network disaster recovery, and a solid reputation for ensuring software installations always adhere to corporate licensing laws. Still, Miller said, he often finds himself thinking back to a joint project in 1998 when he briefly worked alongside Dynatrend’s systems management team to fix an overheated server farm, an exciting and rewarding experience in which he witnessed up close the life he might have lived had he simply been slightly bolder in his youth. “That really could have been me,” he added.